Two-time National Book Award winner Jesmyn Ward (Salvage the Bones, Sing, Unburied, Sing) contends with the deaths of five young men dear to her, and the risk of being a black man in the rural South. Jesmyn grew up in poverty in rural Mississippi. She writes powerfully about the pressures this brings, on the men who can do no right and the women who stand in for family in a society where the men are often absent. She bravely tells her story, revisiting the agonizing losses of her only brother and her friends. As the sole member of her family to leave home and pursue higher education, she writes about this parallel American universe with the objectivity distance provides and the intimacy of utter familiarity. A brutal world rendered beautifully, Jesmyn Ward’s memoir will sit comfortably alongside Edwidge Danticat’s Brother, I'm Dying, Tobias Wolff's This Boy’s Life, and Maya Angelou’s I Know Why the Caged Bird Sings. 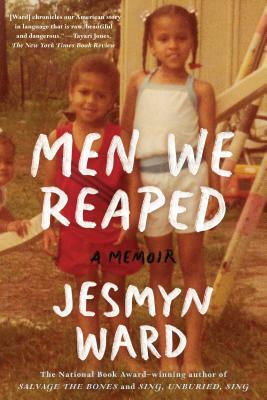 Jesmyn Ward grew up in DeLisle, Mississippi. She received her MFA from the University of Michigan, where she won five Hopwood awards for essays, drama, and fiction. A Stegner Fellow at Stanford, from 2008-2010, she has been named the 2010-11 Grisham Writer-in-Residence at the University of Mississippi. Her debut novel, Where the Line Bleeds, was an Essence Magazine Book Club selection, a Black Caucus of the ALA Honor Award recipient, and a finalist for both the VCU Cabell First Novelist Award and the Hurston-Wright Legacy Award. In 2017, she was awarded a McArthur Genius Grant.